asparagus 1/365, originally uploaded by laurasjoquist. I have started the 365 days of photos project again for two reasons. First because I don’t use my camera nearly enough when I am not taking a photo a day. And second I don’t write anything on my blog if I don’t have a photo a day. 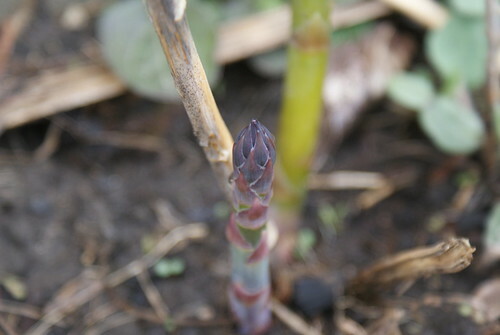 Today’s photo is the asparagus I planted behind the shed. This year I will be able to harvest and eat this asparagus-I’ve been waiting for 2 years now.